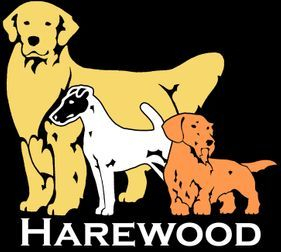 We are pleased to offer GROOMING located in Seagrove, NC. 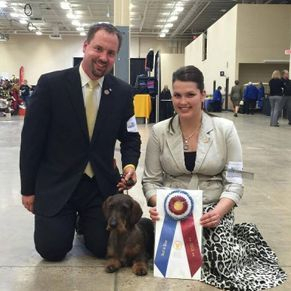 Adam & Madeline Peterson are professional handlers at AKC sanctioned dog shows. 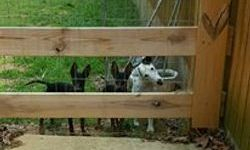 They have a vast knowledge of many different breeds and coat types stemming from their 25+ combined years of apprenticing under multiple top handlers. 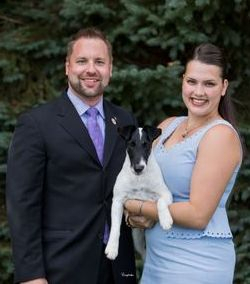 Adam & Maddie also breed and show their own Smooth Fox Terriers, Standard Wirehaired Dachshunds and Golden Retrievers under the Harewood prefix.